Restaurants are created to provide an enjoyable atmosphere to guests during each visit. However, even after the restaurant owner has taken care of lighting in the restaurant and invested a large amount of money to provide impeccable decor, the restaurant is often not in a position to engage guests. Now, with a restaurant audio visual system, restaurants can easily present an entertaining and appealing atmosphere that can delight restaurant guests and attract them to visit the restaurant again and again. Customers visit restaurants to enjoy good food with their friends and relatives, and if the restaurant adds another component of visuals, guests have yet another way to enjoy and experience a better time during their visit to the restaurant. 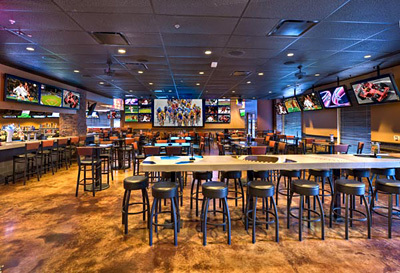 Setting up large screen TVs in restaurants where guests sit, whether it is in the bars or strategically placed so that each guest can view, makes the establishment a warm and charming one. Many times, restaurants arrange special screenings of important events, such as the Independence Day parade or popular big games to attract customers to the restaurant. Investing in TVs, tablets and other smart devices not only enhances the restaurants image in the minds of guests, but it also makes them eager to come back when a big event is happening. If your restaurant guests don’t like the loud sounds of the restaurant’s TVs, you can mute the sound and play lovely music for everyone in the restaurant to listen to and enjoy. Moreover, you can coordinate the day and time to the music you play, and change the tunes according to occasions and celebrations that are planned in the restaurant. Volume of music can be turned down or raised as per the talkative nature of your guests at any given moment. The system installed in the restaurant should be operated from one source. You should be able to choose what, when and where to play the music. No music should be playing in empty bars and private dining rooms when no one is there to enjoy it. The control panel has the ability to play different playlist in bathrooms and open spaces in addition to what is being played in the main dining hall or bar. 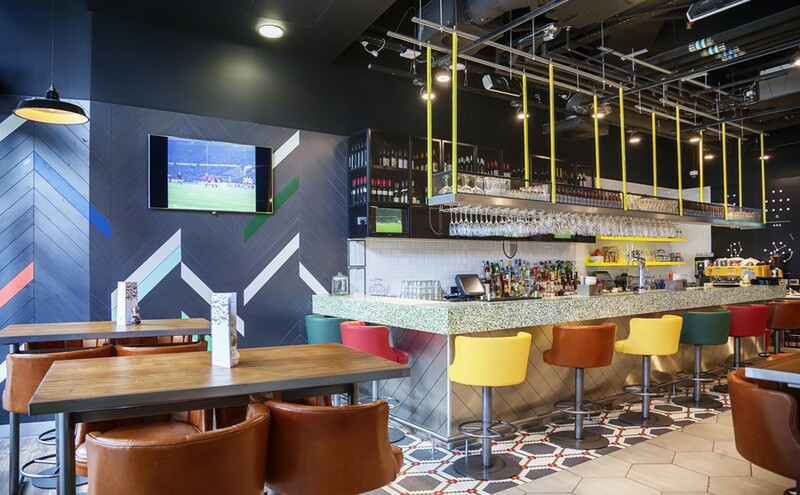 A good audio visual system can change the perception of restaurant guests, who will know they are being looked after by being offered the comforts of the restaurant experience. This encourages them to come back again and again for a wonderful dining experience. As Little Gecko Technology consultants, we install in-ceiling and external speakers, integrated television wiring, projectors, projection screens and televisions to create the audio and visual experience necessary for a given space. If you are planning to open a restaurant in Boston and need any guidance in restaurant audio visual aids, we invite you to contact us. We also assist restaurants by supplying and installing Micro POS systems, Internet Failover Solutions, and Wi-Fi routers. We also provide Micro POS training in Boston Call @ 617-749-7139. There are millions of restaurants locations in the US and more are opening almost every week. Due to a huge competition in restaurant business restaurant owners are getting even more creative to attract the customers and trying hard to do every possible thing to keep them coming back for more.